Those were certainly words of high praise, especially since they were coming from the mouth of the Yankee’s legendary manager. At the time, Sherid was just 22 years old and had pitched two seasons of minor league ball for the Yankees Newark farm club. He was a tall, well-built right hander who hailed from Norristown, PA.
As it turned out, Moore’s sore arm, Sherid’s development as his replacement, and all other matters of Yankee baseball would turn out to be the least of Huggins problems during that 1929 season. The diminutive skipper was felled by an eye infection and bad case of the flu that September and during a Yankee road trip, he was admitted to a St Louis hospital for treatment. Shockingly, he died a few days later at the age of 50. The A’s ended up steam-rolling the Yankees in the AL Pennant race that season, Sherid ended up going 6-6 that first year and Moore ended up getting sent back to the minors. In 1930, new Yankee skipper Bob Shawkey used Sherid plenty as both a starter and reliever. He finished that year with a 12-13 record and an unimpressive ERA. The following season, Joe McCarthy began his Hall of Fame run as Yankee manager and the change in field bosses at first seemed to be just what Sherid needed. He won five of his first six decisions pitching for “Marse Joe” plus earned two saves. Unfortunately the magic didn’t last. During the next month and a half, Sherid got shelled and dropped four straight decisions. He spent the second half of the season pitching for Montreal in the International League and never again threw another pitch in the big leagues. He passed away in 1982 at the age of 75. Sherid shares his birthday with this long-ago Yankee starting catcher, this one-time Yankee reliever and this WWII era Yankee pitcher. He was considered the best pitcher in the history of Clarkson University, a small engineering school in northwestern New York State. Born in Rome, New York in 1918, his real first name was Emerson but his Clarkson coach started calling him “Steve” instead because it was easier to both say and remember. Roser had a choice to make in 1940. He could either finish his senior year at Clarkson or sign a contract with the Yankees. He signed the contract and spent the next four years pitching his way up New York’s minor league ladder. Joe McCarthy put him on the parent club’s roster for the first time in 1944, and Roser pitched well enough to stick around the entire season. His big league debut came on May 5th of that year against the Red Sox. He relieved starter Atley Donald in the top of the fifth inning with the score tied and finished the game, which the Yankees won, earning him his first career victory. He got his first career start two months later and earned a complete game 8-2 win over the Tigers. He would finish that first season with a 4-3 record and one save and he earned good marks from McCarthy who kept Roser on the roster the following season. In 1946, his slow start combined with the mass return of Yankee pitching talent from military service in World War II got the right-hander sold to the Boston Braves in early May. He pitched OK but sparingly in Beantown for a few weeks and then spent the second half of the season with the Braves triple A team in Indianapolis. Despite a good record in Indy, he failed to make the Braves roster the following spring and when he pitched poorly during the 1947 season in the minors, he quit the game for good. Roser returned to upstate New York where he and his wife opened a sporting goods store and a restaurant. Roser passed away in 2002. He shares his birthday with this long-ago Yankee starting catcher and this one-time Yankee reliever. 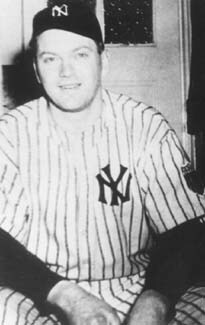 Les Nunamaker was the second starting catcher in New York Yankee history. He succeeded a guy named Jeff Sweeney who in addition to being the first starting catcher for the Yankees in 1913, had also been the last starting catcher for the New York Highlanders the season before. The Yankees purchased Nunamaker from the Red Sox during the 1914 season and immediately put him in the starting lineup. He set a record that first season with New York that can never be broken, when he threw out three runners attempting to steal second base all in the same inning. Not a great hitter, Nunamaker was a big burly guy who was fearless behind the plate. He caught for New York for four years until Miller Huggins took over for Bill Donovan as Yankee skipper after the 1917 season. 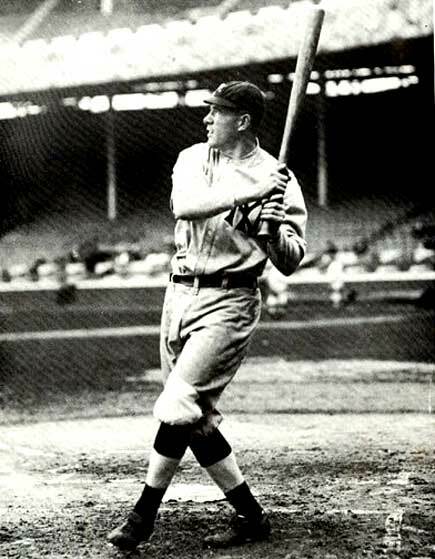 Huggins included Nunamaker in a package of five players that he traded to the Browns for future Hall of Fame hurler Eddie Plank and Del Pratt, in January of 1918. Other Yankees born on this date include this former New York pitcher and this one too. 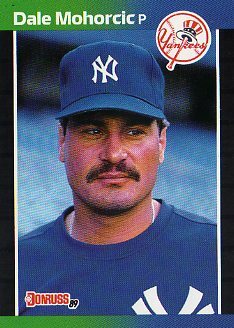 This veteran reliever was acquired by the Yankees from Texas in a trade for fellow reliever Cecilio Guante, late in the 1988 regular season. Guante had begun that season as a favorite and frequent late-inning pitching choice of Yankee skipper Billy Martin. But Martin had gotten fired in late June of that year and replaced by Lou Piniella. Sweet Lou was not as sweet on Guante as Billy had been and quickly lost faith in him. Mohorcic had been a closer with Texas and the big right-hander had just put together his best year in 1987 with 16 saves and 7 victories. He had however, gotten off to a horrible start during the ’88 season and it was obvious that both teams were hoping simple changes of scenery would be the elixir these two right-handers needed to once again get late-inning outs. Unfortunately for both clubs and both players, that did not happen. 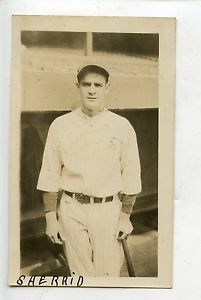 A native of Cleveland, Mohorcic won two games and lost two more for New York that September and then appeared in 32 games for the Yanks the following season, going 2-1 with two more saves. But his ERA went sky-high that second season in the Bronx and the Yanks released him. He than finished his career with Montreal in 1990. Other Yankees born on this date include this long-ago starting catcher and this former pitcher.